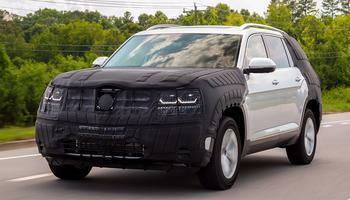 Volkswagen Group of America is recalling 278 Volkswagen Atlas vehicles. The fuel tank may leak fuel due to a manufacturing error. A fuel leak in the presence of an ignition source can increase the risk of a fire. Volkswagen will notify owners, and dealers will replace the fuel tank, free of charge. The recall is expected to begin June 15, 2018. Owners may contact Volkswagen customer service at 1-800-893-5298. Volkswagen's number for this recall is 20AW.